Oh, the tales to tell about French toilettes. I can no longer do the squat at the squat toilet either. It's sometimes difficult to get up from a regular low toilet. My sister and I take GoGirls with us. So far, just having one in my possession almost seems to preclude those urgent moments. I have friends whose solution is wearing skirts and going commando. I must say, it's much easier to find someplace to go now than it was many years ago. Lee, I'll have to figure out what GoGirls is. Thanks for commenting! Oh the memories of Charles deGaulle Airport facilities! All part of life's fun experiences. 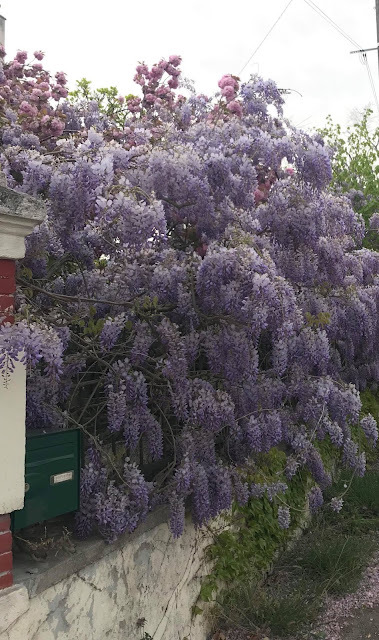 (Thank you for visiting and the invitation to participate and enjoy your blog about fascinating France). "I shall return!" Valerie and Roz, Thanks so much for joining in. I always enjoy reading about new experiences in France. Hello Paulita, thank you for dropping by my blog and leaving a lovely comment. 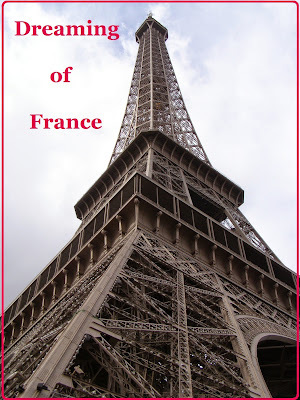 I'm pleased to have met another francophile and am now following your blog. Out last experience in CDG was so bad that now we fly into Switzerland and get the train to My French Folly from there instead of Gare de Lyon where the crowds in summer resemble ants at a picnic! Elizabeth, Interesting idea. Maybe someday we'll be pros at our trips to France and choose another airport too. So far, CDG has been good to us. Oh dread of the Turkish toilets! The disco toilet, I wouldn't mind! I'm not in France at the moment unfortunately, but I did see 2 French films for the French Film Festival going on in Sydney at the moment. As for French bathrooms - they are a surprise. And your shower looks much bigger than the one we had in Montmartre lol. Sorry I’m so late but you’re so busy this week, I don’t think you even missed my post. And by the way, be careful running today. After all, it is the Ides of March. French Hutch, Debs and Sim, So glad you visited my Dreaming of France meme, even if it is in the toilet this week. The more the merrier. No links but what a fun post! Love that deGaulle bathroom! My bathroom memory is my friend Jerry's -- he's an antique collector and I loved all the old bottles he had -- and the checkerboard tile floor!